WUU sent questions to Democrats running for the position of Governor of the State of Wisconsin, in preparation for the Democratic Primary on August 14, 2018. The questions were sent in a first round of communications on February 7, 2018, and requested a reply by February 14, 2018. We have shared the responses we have received in reverse alphabetical order in an effort to remain neutral. What is your budget proposal to deal with the rising cost of recruiting and retaining the best faculty, staff, and students in the UW system? What about UW-Madison in particular? What policies would you propose regarding in-state, out-of-state, and graduate tuition at the UW-Madison? What is your position on shared governance at the UW-Madison? What is your position on tenure at the UW-Madison? What is your position on other faculty and staff benefits in the UW, with particular attention to domestic partner benefits? Dana Wachs – Has not replied as of February 14, 2018. What is your budget proposal to deal with the rising cost of recruiting and retaining the best faculty, staff, and students in the UW system? What about UW-Madison in particular? In the most recent of my alternatives to the Governor’s current budget, I restored the previous cuts to the UW system; I provided free tuition for all in-state students at the technical colleges and two-year campuses; and added $100 million in need-based tuition for UW students. As Governor I would pursue the same goals. What policies would you propose regarding in-state, out-of-state, and graduate tuition at the UW-Madison? The major problem with rising tuition has been the cuts in GPR dollars to the university system. To hold tuition down, the state must invest more GPR funds into the system. Investing state dollars would help deal with the inequities that have developed in tuition. Further, the state must dramatically increase needs-based financial aid. Name two people you would propose to serve as Regents for the UW system and explain why? (if you do not have specific nominees, what qualifications would you require?) I am not making any promises as to who I would appoint to any position. First and foremost, the appointee needs to be committed to keeping the University of Wisconsin system a public university that acts out its mission of the Wisconsin Idea every day. This includes a commitment to making the university system accessible to the people of the state. The nominee must be committed to supporting academic freedom, tenure, shared governance. Experience in higher education is highly desirable. 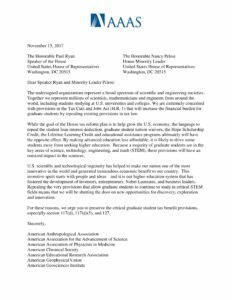 The nominee must demonstrate an understanding and support for public higher education and the professors who provide it. She or he must share my vision that sees higher education as preparation for a well- rounded life, not just as training for a job. What is your position on shared governance at the UW-Madison? I support shared governance in all its forms in the university setting. This means tenure and promotion decisions, curricular and program decisions and many other aspects of university life. I am dismayed at the total disregard of shared governance in the decision to merge the two year and four-year campuses. In this case, the public – local communities, as well as staff, students, professors and the legislature should all have been involved in this system reorganization. I am appalled at the lack of input in the process. What is your position on tenure at the UW-Madison? Tenure decisions should be made by one’s academic peers. Tenure supports academic freedom which is the heart of the academy and the search for knowledge. Without academic freedom we do not have a university. With the constant threat of termination, there can never be freedom from reprisal in the search for knowledge. I strongly support domestic partner benefits. I voted for domestic partner benefits and against their repeal. Benefits of all types should not be eroded. Discrimination should never be tolerated. For four years I served as Chair of the Senate Committee on Higher Education. As chair, I was strongly committed to collective bargaining for university professors and staff. I shepherded the bill authorizing collective bargaining for university professors and academic staff through passage into law. Unfortunately, the law was repealed by the Republicans when they took power. I have been a champion of higher education during my tenure in the Senate. I am the only Ph.D. in the entire legislature and the lawmaker with higher education experience. I spent ten years as a professor and chair of the health services department at the University of Illinois, Springfield. During my time as a professor, I was very active in my union – AFT Local 41000. For a time I served as treasurer of our union local. Paul Soglin – Has not replied as of February 14, 2018. What is your budget proposal to deal with the rising cost of recruiting and retaining the best faculty, staff, and students in the UW system? What about UW-Madison in particular? It is necessary to have a great UW system. With rising costs of recruiting and retainment, this campaign proposes that the UW system, especially the UW-Madison, partner with Wisconsin businesses. UW provides training programs for their employees, sets up internships with students in a related field of study, then asks businesses to provide financial support for the programs they are benefiting from. Revenue for the UW system can be generated through (but not limited to) tuition, taxpayer funding, private donations, and licencing royalties. The UW system needs to be agile, focusing funds where they are most effective, evaluating the performance of each program; what kinds of investments would have the best returns, and which cuts would be least painful for the school as a whole. Cuts should be based on needs. It is important that the UW-Madison preserves its research capacities, which bring in important grants, and also leads to job creation. This campaign supports a living wage for all faculty. This campaign also supports a repeal of the university decision to expel all protesters on the grounds of “disruption”, which was poorly defined and thus has the consequence of chilling free speech on college campuses. What policies would you propose regarding in-state, out-of-state, and graduate tuition at the UW-Madison? In-state tuition should be subsidized by taxpayer funds (such as an estate tax) on a sliding scale, based on the student’s ability to pay. Out-of-state tuition should be competitive with universities in other states. Graduate tuition should be competitive with similar programs elsewhere. Name two people you would propose to serve as Regents for the UW system and explain why? (if you do not have specific nominees, what qualifications would you require?) In general, qualifications for Regents should include: good leadership qualities, communication skills and decision-making skills, and be highly competent in the areas for which they will be making decisions. Regents should be hired for how qualified they are, not where their allegiance may lay. Regents should have vision, looking at the UW system developing to face the future. What is your position on shared governance at the UW-Madison? The key to shared governance is broad and unending communication. Since we are a democratic country, this campaign believes our universities should espouse these values. When these various groups are invited to participate as true partners, then our UW system will prosper. What is your position on tenure at the UW-Madison? Tenure cannot protect laziness or malfeasance, and it typically does not do so. What it does protect is academic freedom, which is absolutely essential in this area, especially given the recent distrust of science and academic inquiry. What is your position on other faculty and staff benefits in the UW, with particular attention to domestic partner benefits? This campaign believes that domestic partners are as much a member of the university community as any other employee, and should be entitled to all of the same benefits. What is your budget proposal to deal with the rising cost of recruiting and retaining the best faculty, staff, and students in the UW system? What about UW-Madison in particular? UW has sustained historic, devastating cuts under the current governor, and seen declining state support for decades. Under Gov. Walker, Wisconsin now spends more on prisons than we do on the entire UW system – a moral injustice and economic disaster. It is hard to maintain the quality of the university, which depends in great part on the ability to recruit the best and brightest if we continue to cut state support. We’ve already suffered an exodus of top-tier professors and researchers, taking their millions in grant funding with them. As governor, I will fully fund the university, and increase funding specifically to ensure competitive compensation, benefits, and financial aid for faculty, staff, grad students, and undergrads. I will reign in mass incarceration and our out-of-control corporate tax giveaways so that our state can reinvest in education. Nothing is more important to the long-term health of our economy than high-quality education, including higher ed. That said, attracting and keeping great faculty isn’t a matter of money alone. It’s also about respect, academic freedom, professional courtesy, and basic earned protections like tenure. We can’t encourage great scientists to come here if the legislature takes an anti-science view and tries to criminalize life-saving research. Students, staff, and faculty will not want to come to the UW if the political climate is hostile to academia and future funding and prestige of the University is uncertain. priorities as Governor. I’m encouraged by the new plan to make UW-Madison tuition-free for families earning less than the median income. I also support the goal of debt-free college at UW schools for in-state students and making our two-year colleges and technical schools free through a “last dollar” tuition credit. The UW should continue to prefer Wisconsin students, and campuses should make every effort to admit students from all parts of the state. For out-of-state tuition, UW should look to Big 10 and other peer institutions to ensure tuition stays in a reasonable range. We want to be attractive for top-notch out-of-state students to come and make Wisconsin their home, but it makes sense to charge them more than their in-state peers. We need to dramatically increase the grants, tuition remission, and funding for graduate students. Despite our excellent graduate programs, Wisconsin lags behind most other top-tier research institutions in the funding packages we can offer to graduate students. This means Wisconsin loses out on excellent potential graduate students who aren’t able to afford to cover the difference – especially students from modest backgrounds without a financial cushion. Over time, this makes it harder to retain faculty if they cannot work with the best students – it’s a cycle that can be virtuous or vicious. Allowing graduate students to bargain collectively is also an important component of making UW a strong place for the most promising graduate students. For professional schools like law and medicine, tuition at UW should remain competitive with peer schools, while offering generous grants and aid packages based on need and merit, to in-state and outstanding out-of-state students. I understand this calculus well – my own decision to attend UW for law school was based in part on low in-state tuition combined with a generous scholarship that enabled me to finish law school with significantly less debt than other law schools. I want to eliminate any financial barrier that would prevent a qualified student from pursuing his or her educational goals in the UW system. That said, I am not calling for eliminating tuition altogether because the funding gap would be too great to close at this point. We need to focus our resources where they are most needed. The wealthiest families can afford to pay for their children to attend UW, and Wisconsin students should receive the primary benefit of state taxpayer support. Finally, I am a longtime supporter of allowing refinancing of student loan debt, since nearly a million Wisconsinites are currently paying off educational debt, some at very high interest rates. I would also create state loan forgiveness programs to help us recruit and retain professionals like teachers and health care workers in areas of high need in Wisconsin, especially rural areas. Make education affordable also means helping those who are hindered by past educational costs. Name two people you would propose to serve as Regents for the UW system and explain why? (if you do not have specific nominees, what qualifications would you require?) As Governor, selecting Regents will be one of my most important responsibilities. I look forward to a thorough sifting and winnowing of potential Regents. I have been disappointed by the current governor’s selections, both because of their substantive votes and because they often seem overly influenced by the current GOP leadership. I will only name Regents who care deeply about the Wisconsin Idea, maintaining the University as a world-class institution of higher learning, and making sure that we remain a public institution in every sense – accessible to students from across the state and every walk of life. We must have Regents who understand and care about the UW system, who respect academia, and who will advocate passionately for the best interests of the UW and its students above all. What is your position on shared governance at the UW-Madison? UW-Madison has a long tradition of shared governance, which is a cooperative mechanism for shared decision making among faculty, students, and staff. It ensures that voices of diverse stakeholders are heard pertaining to important issues affecting the university, and it helps UW operate more efficiently and cooperatively. 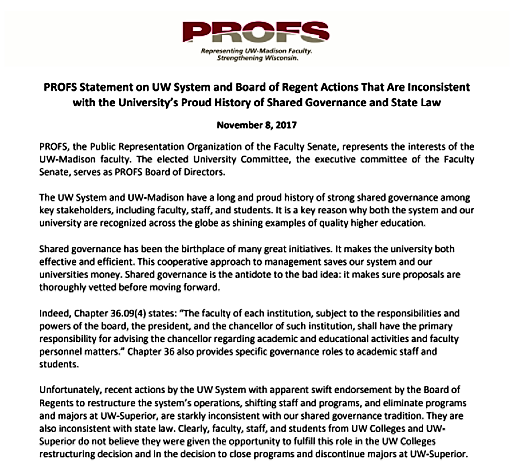 I strongly support shared governance and will ensure that UW reaffirms its commitment to it, as our laws under Chapter 36 require when I am governor. 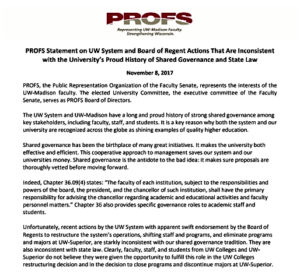 I am appalled by recent actions that contradict UW’s tradition of shared governance – restructuring programs and operation, eliminating majors, and reassigning staff without input, for instance. This trend will leave the UW subject to ineffective, inefficient decisions because major changes will not have been properly vetted, as they would through shared governance. educational considerations to financial ones. The pursuit of knowledge for its own sake is a public good, even if a particular program isn’t a “money maker” for the school. Academic disciplines and departments should not have to compete against each other in a battle for scarce resources; unfortunately, I think the elimination of strong tenure protections have made that a more likely possibility. The rollback of tenure is part of a larger disturbing trend towards political interference in the UW system’s affairs, even though state support is now a small part of UW’s overall budget. While I would like to restore public and political support for UW and lost protections for workers, I do not intend to insert politics into the university and colleges. In my view, academia ought not to be hindered by politicians’ whims. because it’s the right thing to do but to remain competitive as an employer in a global marketplace. What is your budget proposal to deal with the rising cost of recruiting and retaining the best faculty, staff, and students in the UW system? What about UW-Madison in particular? The first step is restoring the sweeping cuts that have impacted the UW System and forced many of our finest universities to make cuts and choices they should never have been asked to make. Education is a top priority for my administration and I fully intend to do what it takes to reign in the rising costs of recruitment and retention. Tuition and fees make up a portion of funding, but state aid matters most. Not only will I work to restore the cuts, but I will work to expand and enhance funding levels through state contributions. We can’t make education a priority in Wisconsin without having the UW System lead the way, and having UW-Madison serve as the flagship university. invest in the talent of Wisconsin’s future as they invest in us. What is your position on shared governance at the UW-Madison? Shared governance is an important factor in creating and maintaining a robust educational institution. I fully support academic staff, faculty, and students all having a seat at the table to determine how to operate the university. UW-Madison is one of our greatest universities in the state and it should be managed by everyone involved. efforts to keep our greatest talent here, in Wisconsin. We cannot afford any capital flight and we must act quickly to create an academic environment that is not only stable but inviting. I firmly believe in the Wisconsin Idea and tenure is an important component to achieving this vision. As a union leader for many years, I understand the need for solidarity and a mutual commitment to standing alongside one another when times get tough. I will stand by members of the academic community and rebuild their rights the same as I would standing by my other union brothers and sisters. What is your position on other faculty and staff benefits in the UW, with particular attention to domestic partner benefits? I believe that any domestic partner should be entitled to the same benefits as those with whom they are partnered. I support expanding healthcare to faculty and staff and ensure that if you give your career to the UW System, the state will make investments in you. Not only your health but for your future, as well. The United States Supreme Court decision in Wolf v. Walker that ended up leading to national marriage equality originated in Wisconsin. Wisconsin has played a major role in marriage equality and I intend to continue to champion this issue and ensure that everyone has the same basic human rights as their neighbors in all the years to come. No matter what the case, I will stand up for equality, justice, and a more fair and equal society in Wisconsin. What is your budget proposal to deal with the rising cost of recruiting and retaining the best faculty, staff, and students in the UW system? What about UW-Madison in particular? General state support (GPR funding) for the UW System has been declining for years, driving student tuition through the roof and making it increasingly difficult for the UW System to maintain program excellence. The current state budget provides just under $1.1 billion per year in general state support (GPR) in fiscal years 2017 and 2018, which is back to roughly 2010 GPR funding levels and about $170 million behind pre-recession levels. Well over 30,000 more students are enrolled in the UW System today compared to 1973, yet GPR funding is about $500 million lower than that year. Once elected, my first budget proposal will bring GPR funding to levels higher than in 1973 in order to meet rising costs, make tuition more affordable and fund system improvement. What policies would you propose regarding in-state, out-of-state, and graduate tuition at the UW-Madison? Wisconsin’s long-term goal should be affordable, debt-free higher education. The average graduate currently is leaving school with somewhere in the neighborhood of $30,000 in debt. Making education debt-free requires lowering the cost to the point where education is affordable enough so that students can work their way through college. That means substantially boosting general state support of higher education so tuition can be brought down to levels where it can be paid without borrowing. I would explore three avenues for funding the substantial increase in state support of the university system needed to reach this goal. First, end programs that have not delivered a good return on investment. Closing Wisconsin’s corporate welfare office (Wisconsin Economic Development Corporation) and ending taxpayer-subsidized private schooling (the voucher program) would save close to $700 million in Wisconsin’s two-year budget. Both have failed to deliver the promised results and should be eliminated. Second, make adjustments to our tax system so everyone pays their fair share. Currently, the richest 1% pay the lowest percentage of their incomes in total state and local taxes (https://itep.org/whopays/wisconsin/). Changes requiring the wealthiest to at least pay a comparable percentage of their incomes in taxes would generate hundreds of millions of dollars that could be used to advance the goal of education affordability. Third, legalizing marijuana and taxing legal sales could generate upwards of $200 million a year – or $400 million for the state’s two-year budget – if Wisconsin mirrored other states that have legalized marijuana. This would be a new source of revenue that could be used to make educational opportunities in the state more affordable. Name two people you would propose to serve as Regents for the UW system and explain why? (if you do not have specific nominees, what qualifications would you require?) Candidates for appointment as Regents would have to demonstrate to me both an understanding of and passionate belief in the Wisconsin Idea, a commitment to dramatically improving college affordability, and a sense of pride in making sure the UW System provides world-class higher education and aims to be the very best public university system in the U.S.
What is your position on shared governance at the UW-Madison? I support it. Beyond that, I want greater autonomy for UW-Madison and the other UW System campuses. The single best thing that could be done for our educational system is to keep state and national politicians as far away from them as possible. What is your position on tenure at the UW-Madison? Same answer as question #4. I support it, and if elected I will do everything in my power to see to it there is less political meddling in the operations of the UW System. What is your position on other faculty and staff benefits in the UW, with particular attention to domestic partner benefits? I support providing domestic partner benefits and want to see faculty and staff salaries and benefits remain competitive with peer institutions. What is your budget proposal to deal with the rising cost of recruiting and retaining the best faculty, staff, and students in the UW system? What about UW-Madison in particular? Every dollar invested in our UW system returns over 20 dollars to our Wisconsin economy. We must recruit and retain the best faculty, staff and students worldwide who will further enhance this ratio. What policies would you propose regarding in-state, out-of-state, and graduate tuition at the UW-Madison? In order to recruit the best students to our UW system, our tuition must be competitive with other top tier universities. Name two people you would propose to serve as Regents for the UW system and explain why? (if you do not have specific nominees, what qualifications would you require?) I would work with our legislature to pass a law that Regents for the UW system must have attained a terminal degree, must have worked for at least 6 years in a faculty position at an accredited college or University, and must have a bonafide relationship with the University of WI system (e.g. graduate, staff, faculty). What is your position on shared governance at the UW-Madison? I believe that all members of our UW community should have a voice in the decisions and operation of our UW system. Furthermore, In order to protect the independence of the important research and exchange of ideas that happens at our colleges and universities, I believe that our UW system should have political autonomy from the state legislature and governor’s office. What is your position on tenure at the UW-Madison? I believe that all members of our UW community should have a voice in the decisions and operation of our UW system. Furthermore, In order to protect the independence of the important research and exchange of ideas that happens at our colleges and universities, I believe that our UW system should have political autonomy from the state legislature and governor’s office. What is your position on other faculty and staff benefits in the UW, with particular attention to domestic partner benefits? We need competitive faculty and staff benefits that will recruit and retain the best researchers, educators, and future entrepreneurs to our UW system. Domestic partnerships are equivalent to marriage in my mind, and I would expect the University of Wisconsin to treat the two the same. Andy Gronik – “Team Gronik” communicated response pending as of February 7, 2018. What is your budget proposal to deal with the rising cost of recruiting and retaining the best faculty, staff, and students in the UW system? What about UW-Madison in particular? The underlying problem to be addressed is Scott Walker is deliberately vandalizing the university and compromising its excellence and high standing throughout the world. As governor, I will recommit our state to the Wisconsin Idea by restoring the funding the University of Wisconsin System needs. Not only would I fully fund the UW System, I would reaffirm the mission statement of the University of Wisconsin and promote and advertise its excellence. I would restore statutory tenure and publicly support tenure and shared governance. UW-Madison has consistently ranked as one of the top 50 universities in the world. I would do all in my power to support the university, and to retain its pre-eminent position. UW-Milwaukee, where my father was a professor for 34 years, is now an R1 research institution. I would provide all the funding and support necessary to make sure it retains that status. Governor Walker has deliberately driven great professors and graduate students from our university. When I am governor, all resources necessary will be provided to restore the greatness of the university. We will do everything necessary to attract great faculty and graduate students to Wisconsin. What policies would you propose regarding in-state, out-of-state, and graduate tuition at the UW-Madison? I will increase funding to UW-Madison to provide a fully-funded tuition reduction for all students. I will ensure that up to two years at Wisconsin’s public universities, colleges, or technical schools will be tuition-free for in-state residents. I will also work to keep tuition competitive for out-of-state students and grad students. Additionally, I will pass legislation that allows borrowers to refinance their student loan debt when rates drop, and I will establish a Wisconsin Student Loan Authority to regulate and guarantee student loans at Wisconsin colleges and universities, based on the best practices of existing Student Loan Authorities around the county. Name two people you would propose to serve as Regents for the UW system and explain why? (if you do not have specific nominees, what qualifications would you require?) I have not decided on specific nominees. I would look for people with experience in the field of higher education, law, and business, who respect academic excellence, respect shared governance, and share my deep commitment to restoring one of the greatest universities in the world. I will demand the regents be loyal to the UW System, not to me personally. Any regent I select will reverse the destructive policies of Walker’s regents, including without limitation, reversing the punitive restrictions on free speech and student demonstrations that the Walker regents have imposed. What is your position on shared governance at the UW-Madison? My father was a faculty member at UW-Milwaukee for 34 years and was involved in the faculty senate. I strongly believe that faculty are essential to the decision making of any college or university. I am a strong supporter of shared governance. What is your position on tenure at the UW-Madison? Tenure is essential to free research, free expression, and retention of a world-class faculty. I wrote an op-ed piece on this for the Milwaukee Journal Sentinel when the Republican legislature removed statutory tenure. I will restore statutory tenure, and leave tenure decisions to the academic departments, and not to the legislature. What is your position on other faculty and staff benefits in the UW, with particular attention to domestic partner benefits? Competitive benefit packages are important to keep the UW System competitive with other colleges and universities across the country. I disagree with the current efforts to repeal domestic partner benefits in Wisconsin. Tony Evers – Has not replied as of February 14, 2018. I: Meeting with AAUP – we plan to suggest a meeting at the Memorial Union; Thursdays 5 pm or later would be ideal. III: Question of the future of the organization/Possibility to transform the organization. Work to enlarge the individual case load; person to person contacts. This builds awareness and traction for the organization. How do we approach people? Take the current board and provide financial assistance for those who want or need it. Who needs it and how is it provided? In this case, we need to ensure that WUU is following procedures as properly outlined under the 501c status granted by the IRS. There is a tension in the difficulty to motivate vs the rationality that it might not be in the best interest of faculty and staff to organize on every single issue. The question becomes: which issues to target and why? Recall the successful case of the Land Tenure Center and the work of Jim Donnelly when we consider moving forward on cases. This case was successful, the push for shared governance was successful, and WUU was able to stall the removal of the center. Hence, when the UW system is facing reorganization; WUU ought to, at the very least, push for an increased in shared governance, with the goal in mind that it may well produce a different result than if shared governance was not considered. Of course, the result may be the same, but, decisions could then, at the very least, have been properly discussed. Considering the future of the organization should be a two-part process. The first part should be an open discussion of the possibilities that are under consideration. The second part should be a discussion and outline the procedures and process for enacting the plan. Throughout these considerations, we will have to keep in mind whether the bylaws need amending. We currently plan to engage in the first part of the discussion on Saturday the 13th of January, blocking out the hours of 1 to 5 pm in the afternoon. We will get a room in the Memorial Union or Union South; which re-open on the 7th of January. Ongoing discussion regarding Act 59. The trend to treat faculty as “hourly,” severely inhibits their ability to: conduct research, provide advising and instruction, engage with publication and service for the academic community and broader public. TAA has won a 13% raise for the following calendar year. Congratulations to them on amazing organizing work. AFSCME: Reclassification & Representation issues. 30 Days’ Notice Clause. The RP Tax Bill has passed but did not include the provisions directly negatively impacting graduate students and those with student loans. A mediated success. UW System consolidation. Many two-year schools are consolidating and cutting positions. Program closures are also present at Superior. University Housing and dining policy to create a mandatory minimum expenditure of $1,400 per semester for college students. 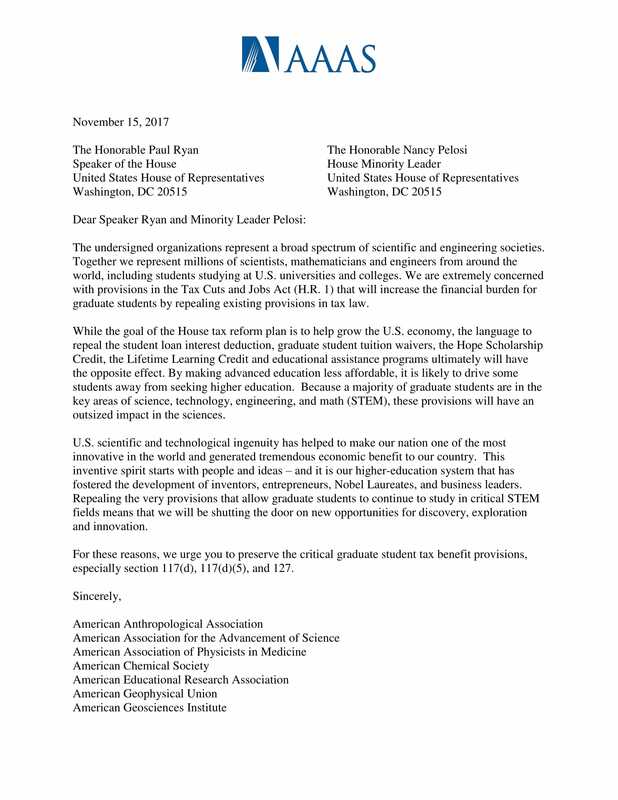 When the announcement came that the House of Representatives version of the Republican Party’s tax bill would take aim at Graduate Student Tuition Waivers and Tax exceptions for student loan interest, professional organizations across the academy responded. 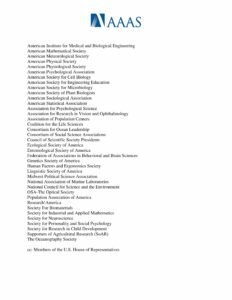 On November 15th, 44 organizations from scientific communities, including Social Science and STEM organizations, wrote a letter to the United States Congress (see below). When the vote passed the House, and a new Senate version of the bill was proposed, these two provisions impacting graduate students were removed. Still, according to Inside Higher Ed, the Senate version of the Republican Party tax bill would continue to have a negative impact on higher education, particularly research institutions with large endowments. 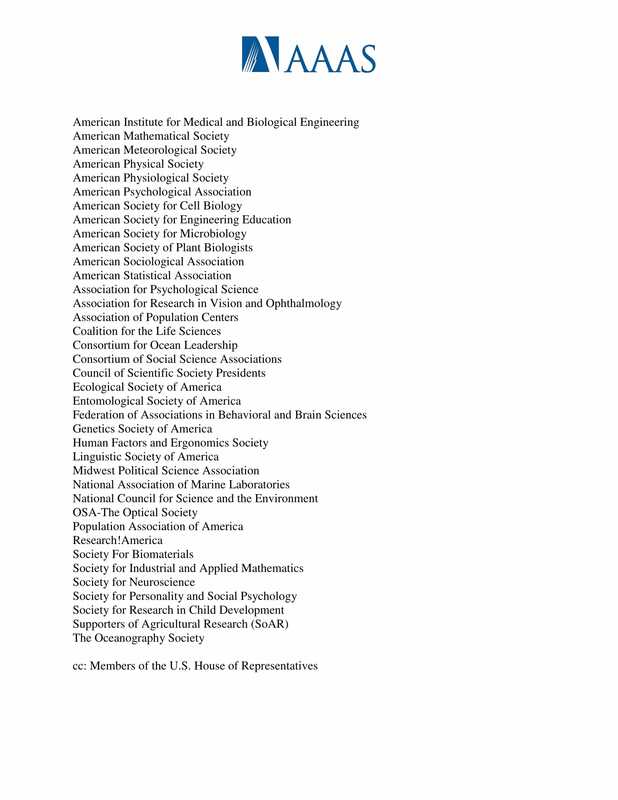 In anticipation of the Senate vote, and to ward off provisions of the House bill that might be added by amendment, 41 organizations affiliation with the Social Sciences and the Humanities on November 28. On the 29th, graduate assistants across the country, at more than 60 locations walked out, as part of a coordinate effort to oppose the provisions of the Republican Party tax bills. As debate continued, a proposal in the Washington Post argued for removal of charges of graduate tuition altogether in response to the Republican Party House of Representatives version of the tax bill. While reviews on the proposal are mixed, at least some view the response, putting the pressure on institutions themselves, as victim blaming. Opposition to provisions in the legislation can still make themselves heard in committee, before the house vote, before the final vote, and before the stage where, theoretically, the president could sign the bill into law, or veto it. The legislation still has a long way to go, and opposition to it has been mounting. Congratulations to Professor Lydia Zepeda, of Consumer Science, WUU Member, and Vice-President of the Executive Board! 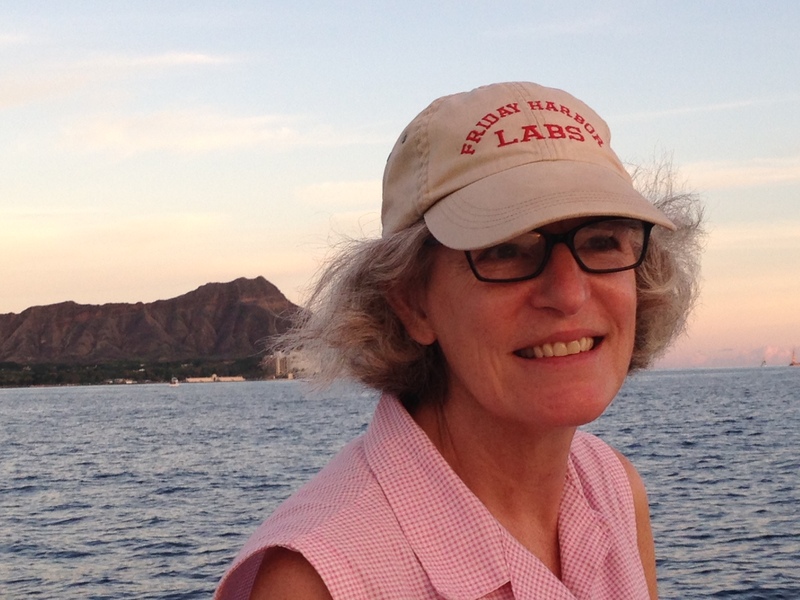 Lydia has been named fellow of AAAS along with four other UW-Madison professors. Her long standing innovation in research, teaching, and outreach makes this a well-deserved award. She will be honored with the award, presented at the AAAS meeting in Austin, Texas, on Feb 17, 2018. WUU endorses the PROFS position on UW system reorganization and UW-Superior program closures. Shared governance is one of our founding principles. You can read the full statement here. 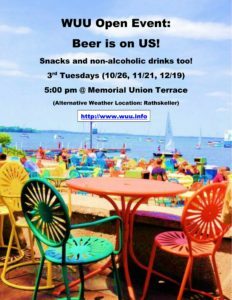 Want to have a beer on the Wisconsin University Union (WUU)? We’ll spring for snacks and non-alcoholic drinks too. There won’t be ANY speechifying and the purpose isn’t to sign people up for WUU (though discussions of union issues may well come up). This month we will focus on coordinating WUU & TAA efforts. We will meet on Thursday, October 26th at 5:00 at Memorial Union — on the Terrace if the weather is suitable, otherwise in the Rathskeller. I: Fall Open Gatherings – organization question? We do want to continue to put a strong emphasis on outreach. For example, coordinate with UFAS, PROFS, and AAUP. To co-sponsor an event with WUU, the board found that there should be a significant contribution from the cosponsoring institution. Stripped down/simplified versions of several months OK’d to post on website. DACA: Web updates on DACA programmed as releases through the FB page. We will meet monthly on the third Tuesday at 5:00 at Memorial Union — on the Terrace if the weather is suitable, otherwise in the Rathskeller. This month that’s Tuesday September 19th.